The three-member in-house committee headed by Justice S.J. 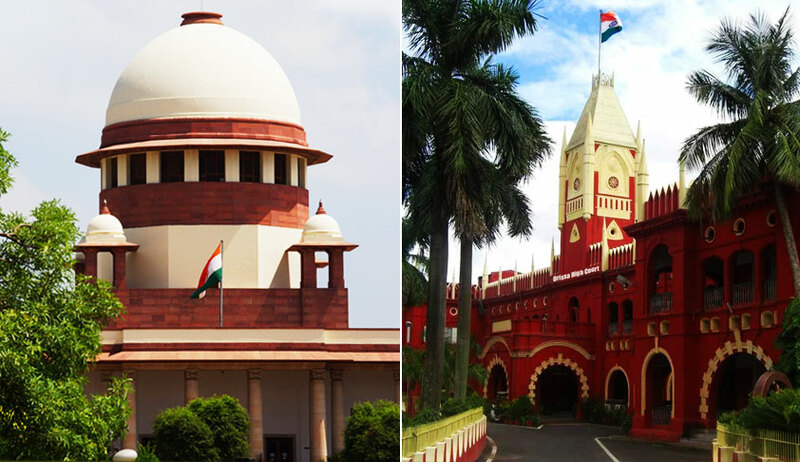 Vazifdar, Chief Justice of Punjab & Haryana High Court is set to resume its probe into the allegations of abuse of power leveled against two sitting Judges of Odisha High Court – Justice Indrajit Mohanty and Sangam Kumar Sahoo. Other members of the enquiry committee are Justice T. Vaiphei, Chief Justice of Tripura High Court and Justice Arun Tandon, judge of Allahabad High Court. In a letter, Justice Vazifdar has informed the complainant, RTI activist Mr. Jayant Kumar Das that the next meeting of the committee will be held on 1 and 2 February at 11 am. Mr. Das, who is currently lodged in the District Jail, Puri, Orissa, had earlier this month made a representation to the Superintendent of Police, seeking permission to attend the meetings of the committee in person or through video conferencing. In another letter, he had requested the Registrar General of Orissa High Court to instruct the Orissa Police to abstain from handcuffing him while taking him out of the jail premises. Justice Vazifdar's letter now asks him to "take necessary steps" to appear before the committee. Former Chief justice of India, Justice T.S. Thakur, while acting on complaints filed by Mr. Das and Dr. Aditya Prasad Mishra, had constituted the in-house committee to look into the allegations. Justice Mohanty, the second senior most Judge of Orissa High Court, has been alleged to have obtained bank loans to run his hotel business after he was elevated to the bench. As per the complaint, he runs a hotel called 'Triple C' in a busy market in Cuttack. In 2009, he allegedly availed a loan to the tune of Rs. 2.5 crore from the State Bank of India to run the hotel, which has been claimed to be in contravention of the code of ethics for Judges. The complaint against Justice Sangam Sahoo, who was appointed as a Judge of the High Court in July, 2014, alleges that as an Additional Judge, he had misused public funds for renovation of his official residence, beyond his entitlement inside the bungalow. The inquiry had, however, been stalled after the name of a senior Supreme Court Judge had suddenly cropped up during the probe. Baffled at the development, the committee had then written to the then CJI Justice Khehar, seeking his guidance. It had asserted that despite the allegations having surfaced, the committee is unable to proceed because its mandate excluded probing charges against a sitting Supreme Court Judge. Justice Khehar had, however, not taken any steps on the committee's representation. This had prompted Ms. Das to address another letter to the committee in October last year. He had written, "I feel that as if Indian Judiciary is trying to overshadow the illegal act of Justice Indrajit Mohanty and not in a mood to take any disciplinary action against him. If this would be the attitude of the Honorable Supreme Court of India and In-House Committee then the Citizens of India would certainly leave their faith in Indian Judiciary."